Jonathan Fritz has been promoted to the position of Research Scientist by University of Maryland Provost Mary Ann Rankin, effective July 1, 2017. 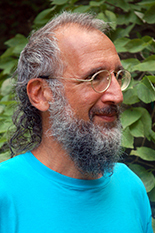 Fritz has been a member of ISR's research faculty since 2004. Fritz is well known for his ongoing work in neuroscience research with Shihab Shamma and the faculty and students of the Neural Systems Lab. Most recently, he has been one of the key drivers of a new multimillion-dollar DARPA grant for the university, a targeted neuroplasticity training program.